I suppose I should really stop teasing with my illusions to an epic weekend of baking and actually talk about what I made shouldn’t I? Well, it started with Sausage Rolls, we had sausages that needed using up, and in my quest for a recipe to cook them up, I remembered that Sausage Rolls were on my list and not knowing how much puff pastry I’d need grabbed a big pack on my late night supermarket run. (For reference a 1KG pack is too much – I fed a family of three twice, plus lunch for two and still managed a one-person fake-pie for myself on the Monday night!) So having successfully managed sausage rolls, I had a dig through my recipe books in search of something to use up the rest of the pastry. 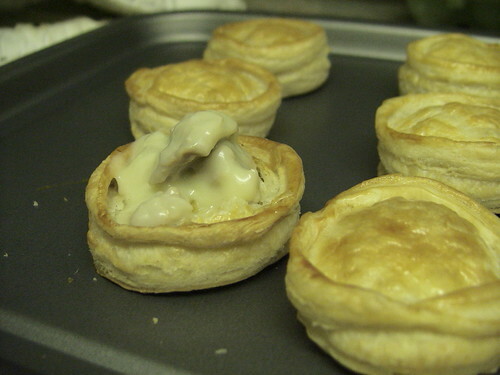 I stumbled across a recipe that struck straight to my childhood nostalgia – vol-au-vents. But what to put in them? The recipe called for feta cheese and pomegranate and in my opinion vol-au-vents should be hot with an equally hot filling. Handily my mum was making ham soup so I pinched some of the meat, she made a nice white sauce and a tasty filling was born. 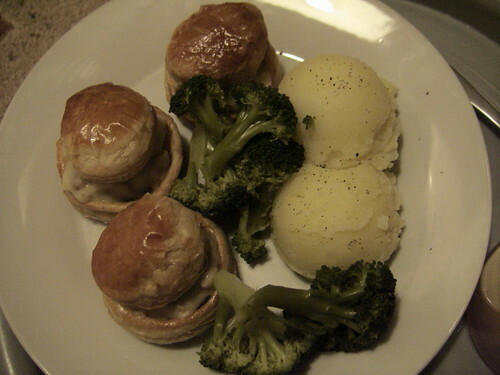 If I had issues about ‘proper’ baking with the sausage rolls, they were nowhere to be seen with the vol-au-vents. Perhaps it was the cutting out and construction work involved in putting them together, but they definitely felt like ‘real‘ baking. 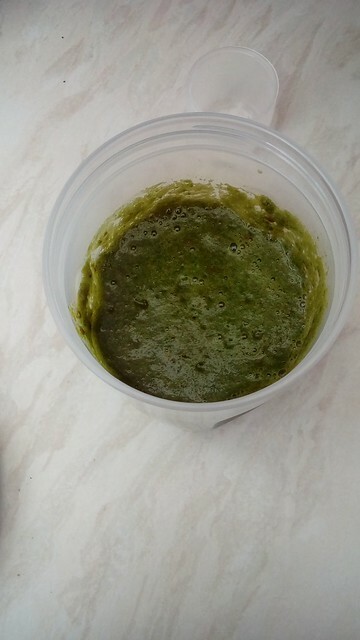 I do take a couple of issues with the recipe as written though. First up, why get rid of the inner circles? Bake them separately and they make cute little hats/lids for the vol-au-vents, judicious application of the rolling pin would doubtless resolve the overly puffed result I got. Secondly, once they’ve been in the oven it tells you to cut out the puffed up centres and discard – cut them out certainly, but they squash down easily enough under the weight of the filling, and if you really want to remove them they make a tasty treat for the peckish cook. Particularly tasty, I find, with mashed potatoes and broccoli. 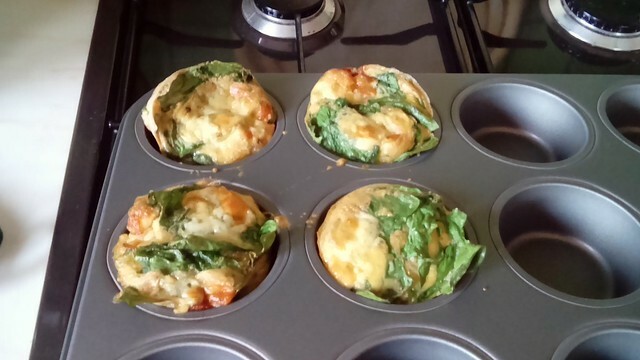 While I had the oven on and was using up things in the fridge, I made some Spinach and Cheese (Cheddar, Parmasan and Cream-cheese to be precise) Muffins. 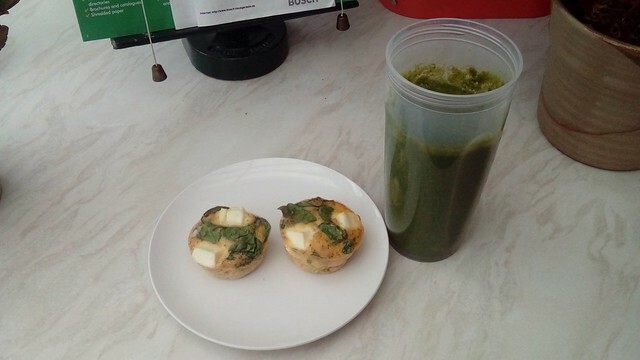 These are an old tried and tested favourite of mine and make an excellent savoury breakfast. 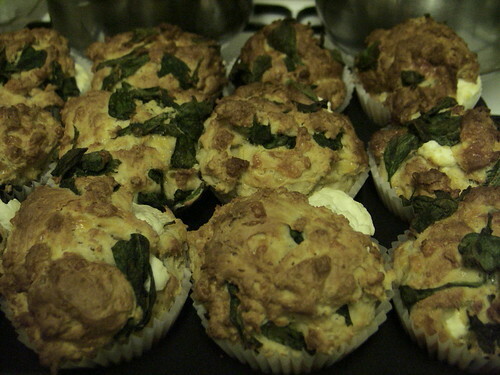 A wee 30 second blast in the microwave before eating re-melts the cream-cheese nicely. Handily they also cook in the oven at the same temperature as the vol-au-vents, so I was able to whip them up while the vol-au-vents were chilling/resting in the fridge and stick them both in together.